The Chinese of this Chinese Idiom Story "Shoot A Willow Leaf A Hundred Paces Away--Bai Bu Chuan Yang" is 百步穿杨, and Pin Yin bǎi bù chuān yáng. The other name of this Chinese Idiom Story "Every Shot Hits The Target--Bai Fa Bai Zhong is 百发百中， pin Yin bǎi fā bǎi zhòng. In 575 BC in the Spring and Autumn Period, state Jin invaded state Zheng, an ally of state Chu. So state Chu sent its troops to aid Zheng, and fought with Jin at Yan Ling (鄢陵), that is the famous battle of Yan Ling. During the battle, Jin chariots charged both Chu flanks, scattering the enemy. They then proceeded to attack the center, which contained the Chu King commanding his troops. Although the Chu King's life was endangered a couple of times, Jin officers let him escape as a sign of respect. However, he was shot in the eye by Wei Qi (魏錡), a good archer of Jin. The king of Chu hated Wei Qi guts and thus recruited many skillful archers at a high price, hoping they would revenge for him. In 574 BC, Chu and Jin fought again. The king of Chu gave his best archer named Yang You Jin (养由基) two arrows, ordering him to challenge Wei Qi. Yang You Ji used only one arrow to kill Wei Qi in the following duel and then returned the other to the king. From then on, he was called "One Arrow Yang". After coming back to Chu, Yang You Ji soon became the state hero and very famed. Many young men asked to be his students, but at the same time some expert archers came to challenge to his shooting skill from time to time. One of them named Pan Dang chose three leaves at different heights on a willow tree, and challenged him to hit them in order. 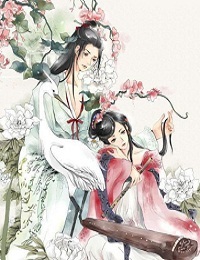 Yang You Ji, standing more than one hundred paces away, took a quick look and then without another word lodged three arrows in the the leaves in order. When recording this story in his book-- "The Records of the Grand Historian", the first systematic Chinese historical text which profoundly influenced Chinese historiography and prose, Si Ma Qian commented: "The shooting skill of Yang You Ji had reached the level that every shot hits the target." This idiom story“Shoot A Willow Leaf A Hundred Paces Away--Bai Bu Chuan Yang” is from The Records of the Grand Historian. This idiom describes excellent marksmanship. Later it became used to indicate great assurance.